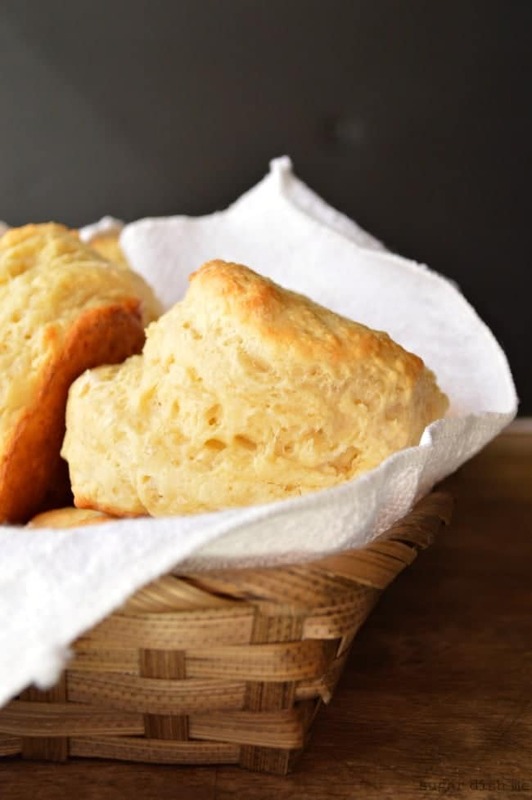 Fluffy homemade biscuits made without the butter! These big and fat but still skinny Greek Yogurt Cheddar Biscuits ring in at just over 200 calories each. 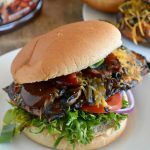 Perfect for breakfast, lunch or dinner, as a sandwich or on the side. 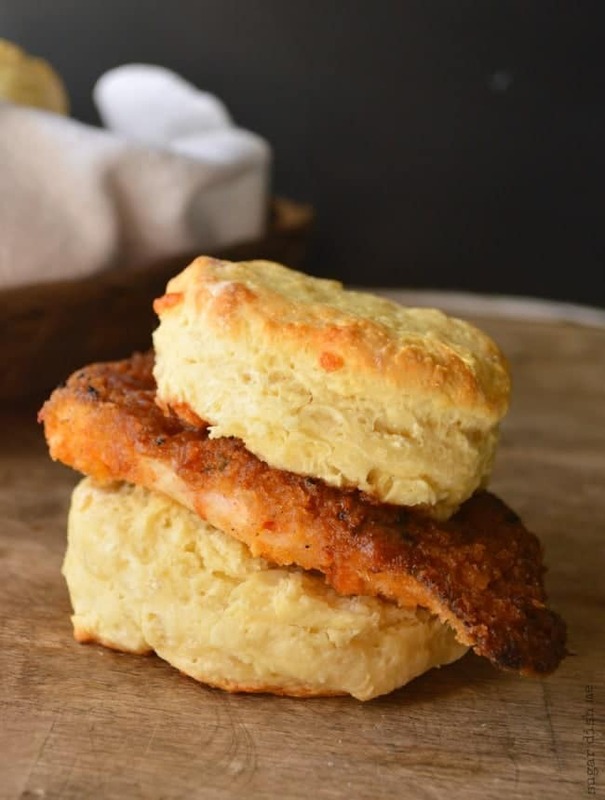 What good is Crispy Cajun Chicken without a big ‘ol fluffy biscuit halves for it to be sandwiched in between? I mean it’s still good, but come on. You know your chicken needs a biscuit. I spent YEARS trying to make good biscuits, you guys. If we are keeping it real here, I was basically happy with a can of flaky grands for the longest. And will still totally grab them for a quick breakfast casserole. But with several years of practice ( wish I was joking — I definitely made this kitchen lesson 1000 times harder for myself than it really is) I finally got pretty good at making biscuits and savory scones — good enough to share quite a few recipes with you. This one right here, though? It takes the biscuit cake. There’s lift. There’s fluff. 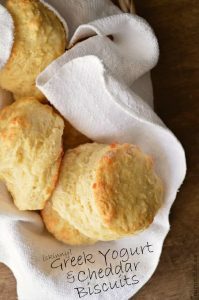 There’s a little bite of cheddar and a buttery texture to the bread and omg it is like the most satisfying bite of biscuit you ever will have. But I made them without any butter or lard at all. Which in Biscuit Land seems crazy. I started with my favorite recipe for Jalapeno Cheddar Buttermilk Biscuits and had this moment where I decided it would be really cool if I could make Greek yogurt stand in for the butter. I love a good buttery biscuit, but dang if I don’t hate tallying up all those butter calories. Greek yogurt stands up well in baked goods so I figured it was worth a shot. The cheddar was an afterthought, but a good one. So here’s the place where I’m gonna school you on what products I used for this recipe. This is NOT sponsored content — I just think it’s important to share with you what works well for me and why. I used Cabot’s Sharp Light Cheddar for these biscuits because I was looking for taste and texture but wanted to cut the calories. It’s my favorite “light recipe” ingredient — you can find it in other recipes like these Lightened Up Cheesy Broccoli Potatoes. I also opted to use Cabot’s Plain Greek Yogurt to make these, because it is INSANELY creamy and perfect and THICK. The thick quality is crucial here because hellooooo … there’s no butter. If you have a favorite Greek yogurt that you think will stand up then go for it. For me Cabot is it. Okay, so Tip #1 is thick yogurt + light cheese. Tip #2 is to keep everything COLD. Sort of like with cookie science. Cold = Fluffy. Thick @cabotcheese Greek yogurt + Light Cheddar make for AMAZING lightened up biscuits! But Greek Yogurt Cheddar Biscuits are freaking delicious. If you missed the recipe on Crispy Cajun Chicken you can find it here. Your biscuits are gonna need a good piece of chicken. But they are also perfect with jam or with a fried egg tucked inside. They love bacon. too. 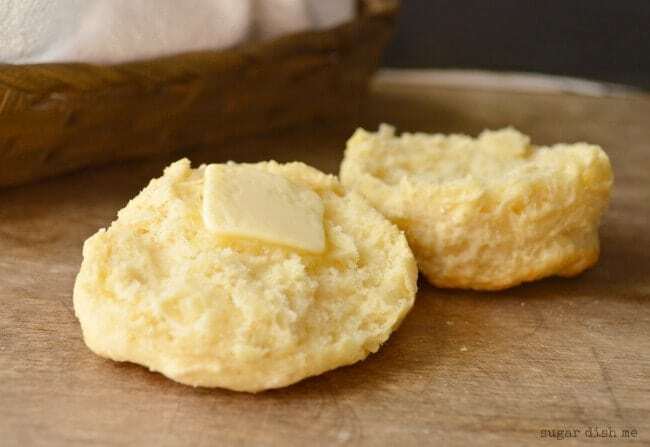 Fluffy biscuits made without butter! Greek yogurt and light cheddar replace the traditional fats in this easy biscuit recipe for a lightened up biscuit that is loaded with protein! Preheat the oven to 400F. Line a baking sheet with parchment paper or lightly spray with non-stick cooking spray. In a large bowl whisk together the flour, baking powder, baking soda, and salt. Spoon the Greek yogurt into the bowl and add the cheese but don't combine the ingredients yet -- put the bowl in the freezer. Measure your buttermilk or milk into a liquid measuring cup and whisk in the egg. Put the mixture in the fridge for a minute while you mix up the egg wash and flour the counter where you'll be working. Grab the bowl from the freezer and the milk/egg mix from the fridge. Pour the milk into the bowl and use a rubber spatula to combine everything. Add a little more flour if the dough seems too sticky. Turn the dough out onto the prepared work surface and with floured hands pat it out to about ¾" thick. Cut 16 circles using a 2" biscuit cutter or a floured juice glass. If you are making "regular" biscuits you can just place the dough rounds on the prepared baking sheet, about 1½" apart. If you are making BIG FAT biscuits (as pictured; approximately 208 calories each), then you're going to stack the rounds you just cut out. There's no need to pinch the dough together or anything. Just stack two together and place them on the baking sheet about 2" apart. Brush the tops of the biscuits with the egg wash and then bake for 12 - 14 minutes (for "regular" biscuits you can check them at 10 minutes). I highly recommend making the big fat fluffy version of these biscuits. The taste is still there with the smaller version, but there's more fluffy biscuit texture with the big fat stacked version. I hope you will Carrie! After making these I read quite a few recipes using Greek yogurt in place of the buttermilk, but not the butter. I’m so glad it worked out like I wanted! I expect nothing but the very best biscuits from a North Carolina girl!! I love your honesty about the Grands. I mean, we all buy them in a pinch. 😉 I’ve been experimenting with Greek yogurt in my baking too and it’s nice to hear that it’s working so well for you in this recipe. 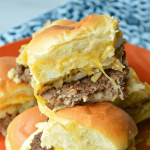 And, light cheddar cheese sounds like I’m going to get my favorite cheddar flavor and be able to zip up the skinnies! I’ll be trying these! Thanks so much Allison! I think you’ll like these. 3 batches have mysteriously disappeared from my kitchen. Just picking my jaw off the ground after staring at these sky high lovelies! Girl, you and biscuits are the best kind of combination. I can’t wait to make these! You are the sweetest. Thanks Amy! Girl my love of Greek yogurt runs deep, I need these biscuits in my life now! Thank you so much Rachael! Hope you enjoyed them and THANK YOU so much for sharing! Cabot is THE BEST. These look amazing Heather! My mouth is watering just looking at them. 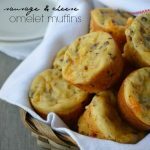 I will definitely have to add these to my cooking challenge calendar! Thank you! Thank you sasha! Let me know how they turn out for you! I just made these today and they turned out great! Just one thing though, the were a bit chewy like runner chewy. Did I beat the dough too much? Or did I use too much flour when working with it to cut it? I tried your cheddar biscuits but they turned out flat/ not risen and very dense. I have followed your recipe measurement precisely. On another note, I did substitute regular all-purpose flour with all-purpose cassava flour. Do you think that is why they were densed? Hi Vita! The cassava flour is 100% the reason they weren’t fluffy. Different flours yield different results because the proteins are different. Cake flour would be different than bread flour would be very different from almond flour, etc. Even when substituting something like whole wheat I’ll usually test a recipe with 1/2 and 1/2, and work towards more wheat after I see the results. Hope that helps! We love these biscuits. I double the recipe and use half whole wheat and half white flour and send them with the kids to school for lunch. Thank you! Love the half and half flour! 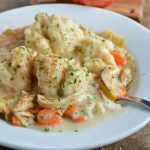 So glad this recipe works well for you! Made these today and they turned out to be one of the best biscuits I’ve made. Very light and fluffy. Sad that they make great vehicles for honey and other sweets. Really defeated my purpose to make a lighter biscuit.